If you enjoy this series, please consider making a one time donation to help me keep delivering rare resources to you for a long time to come! Just a quick bit of Friday evening (depending on where you are) reading for you. I have been doing some research on 'Tempo rubato' (or simply 'rubato'), which is a term that's thrown around a lot these days. Your teachers might tell you to "stop using so much rubato", or perhaps to "use some rubato here and there to enhance the expression." Well I certainly used to get that a lot! Yes, it does mean what we all think it means - enhancing the expression with some rhythmic freedom, by slightly slowing down or speeding up the pulse. However, tempo rubato has more than one meaning. In the 19th century it actually more commonly meant to shift notes by playing them either late or early (you could think of it as rhythmic displacement). The article in Wikipedia has intentionally favored the first type (rhythmic freedom), and mocked the second one (rhythmic displacement). It also uses sources and quotes only from the 20th century. So if you're playing Chopin, or Sor, or Tarrega and you want to know how they were thinking and playing in the 19th century, then these 20th century quotes and sources are far removed from that. Now, I see this as a big problem. Wikipedia is almost always the first result that comes up from a search. So that means lots of people who search for the term Tempo rubato will be swayed and influenced by this biased article, and won't get the full of picture of rubato's history and definition (below is just an excerpt). "Tempo rubato [ˈtɛmpo ruˈbaːto] (free in the presentation, Italian for: stolen time) is a musical term referring to expressive and rhythmic freedom by a slight speeding up and then slowing down of the tempo of a piece at the discretion of the soloist or the conductor. Rubato is an expressive shaping of music that is a part of phrasing. While rubato is often loosely taken to mean playing with expressive and rhythmic freedom; it was traditionally used specifically in the context of expression by speeding up and then slowing down. In the past expressive and free playing (beyond only rubato) was often associated with the terms "ad libitum." Rubato, even when not notated, is often used liberally by musicians; e.g. singers frequently use it intuitively to let the tempo of the melody expressively shift slightly and freely above that of the accompaniment. This intuitive shifting leads to rubato's main effect: to make music sound expressive and natural. 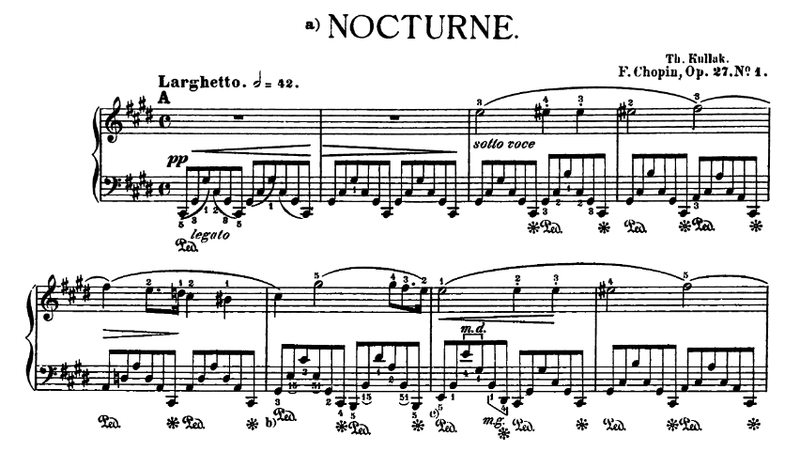 Frédéric Chopin is often mentioned in context with rubato (see Chopin's technique and performance style)." It is amusing to note that even some serious persons express the idea that in tempo rubato "the right hand may use a certain freedom while the left hand must keep strict time." (See Frederick Niecks' Life of Chopin, II, p. 101.) A nice sort of music would result from such playing ! Something like the singing of a good vocalist accompanied by a poor blockhead who hammers away in strict time without yielding to the singer who, in sheer despair, must renounce all artistic expression. Again, you could think of this as rhythmic displacement (on the piano you would be displacing the hands). You can apply this to a lot of guitar music, for example Tarrega's Lagrima. To get an idea of what this effect sounds like, you can listen to pianists who were born in the late 19th century. 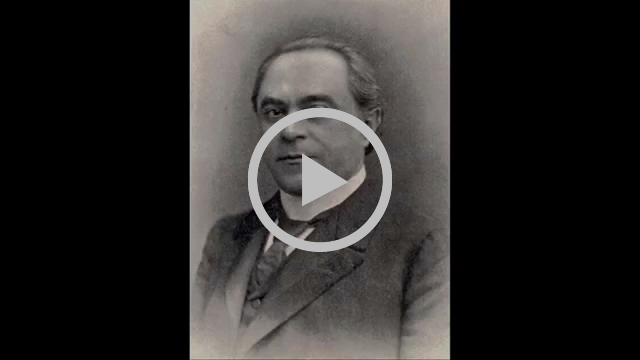 Listen to the recording below of Vladimir Pachmann, who is playing some Chopin Nocturnes. Pachmann was born one year after Chopin died. I highly recommend listening intently for at least a few minutes to see the effect of his tempo rubato. Like it or not, this is how pianists (and probably guitarists) were playing! In the score the hands are notated to play together, however Pachmann hardly ever plays two notes together - the left and right hands are independent. This is not like the playing of a "blockhead" as suggested by the Wikipedia article. Rather the opposite - this effect is extremely difficult to master! I think the effect is beguiling and magical, particularly in the final Nocturne of the video. Tempo rubato would be a pain to notate precisely, so the notation doesn't tell us this information. We have to use the information found in sources from the era, plus listen to early recordings with a somewhat open and non-judgemental mind. As guitarists we can also use this effect. I challenge you to try and apply this kind of rubato to your 19th century pieces! - Just experiment with delaying the melody above the bass line and try to make the two parts sound independent. - Sounds easy, but it's not! It's also more likely to work in a piece with very clear melody and accompaniment; not all pieces will suite this kind of rubato. I just had to share this with you today, because I want you to know what these musical terms really mean. Tomorrow I'll be sending out some information and a video about the basics of 19th century accentuation. I should have Pratten's variations done by next week! I hope your idea of what rubato is has changed a little bit, and that you've learned to not always trust sources like Wikipedia! The hands are notated to play together, but that doesn't mean they should!